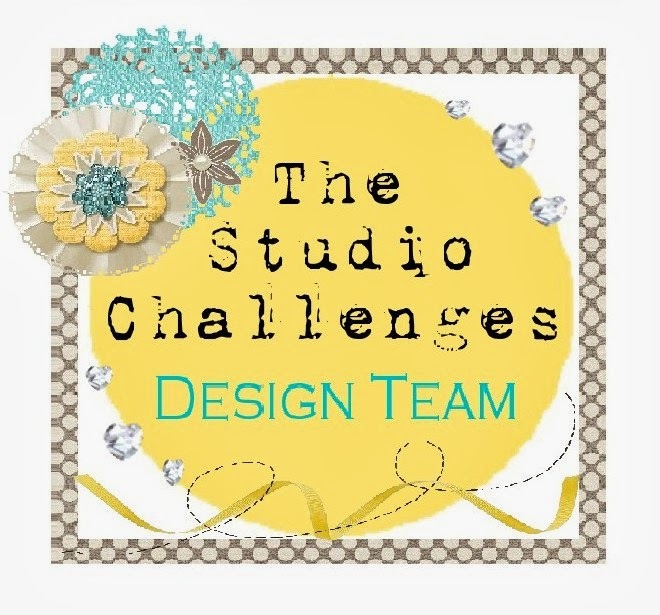 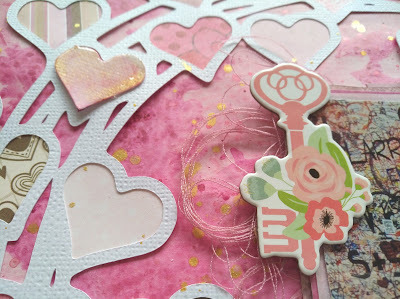 Today it's the second week with my "variety of shapes"-challenge at Lasting Memories. Now, wie want to see HEARTS on your layouts! For my layout I used the cute Paige Taylor evans cutfile from the silhouette design store. 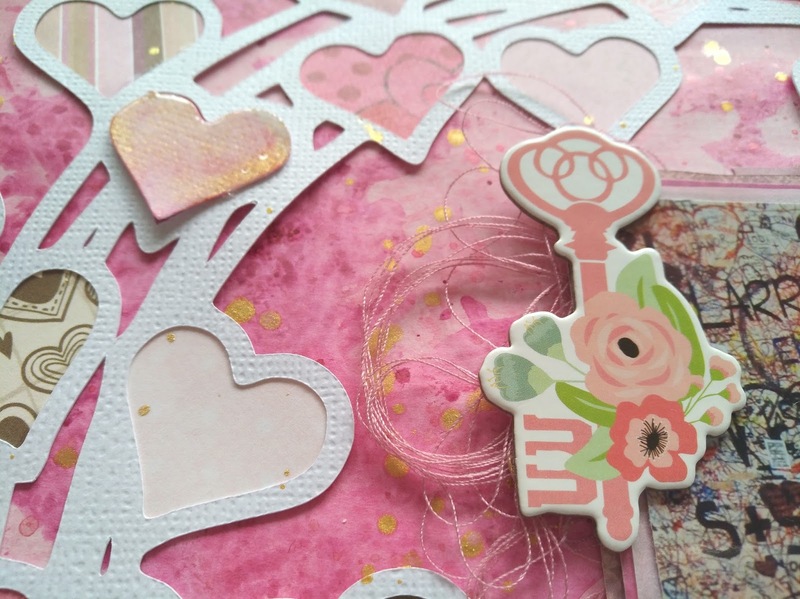 I backed all the hearts with patterned papers from my stash. 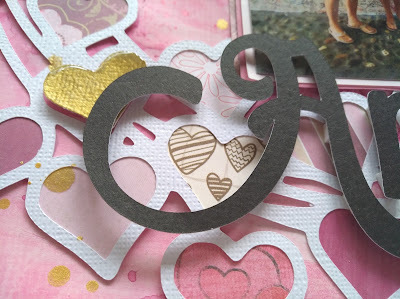 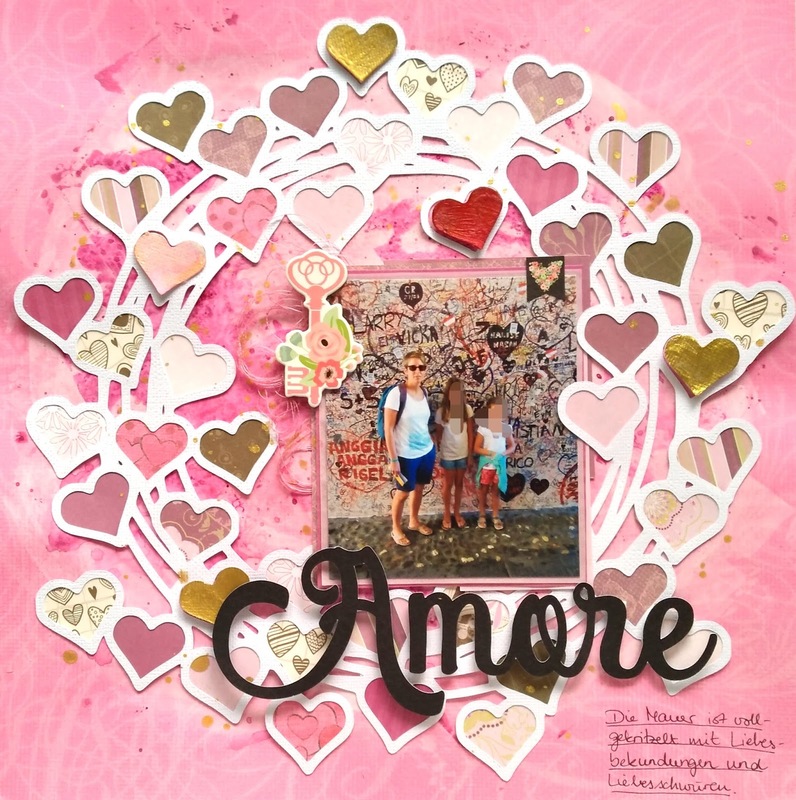 Fabulous layout....I love that heart cut file...just perfect for your photo!